Junior Sized Equipment - Is It How We #GrowTheSport? Are junior size discs and baskets the answer for helping to grow the sport and spread it to younger generations? Perhaps we can best answer this question by looking at sports that have shown a high rate of child retention. When teaching kids soccer, for example, instructors use a field length that is shortened and a smaller ball is used. It’s this method that teaches children all the concepts of the game on a smaller scale, one that better fits their world and improves their experience. And as young participants grow in size, so does the field and the equipment they engage with. It’s important that when we introduce children to disc golf, we also teach them with age and size appropriate equipment. This methodology is at the heart of what Dynamic Discs has developed in the Junior Recruit disc golf basket. 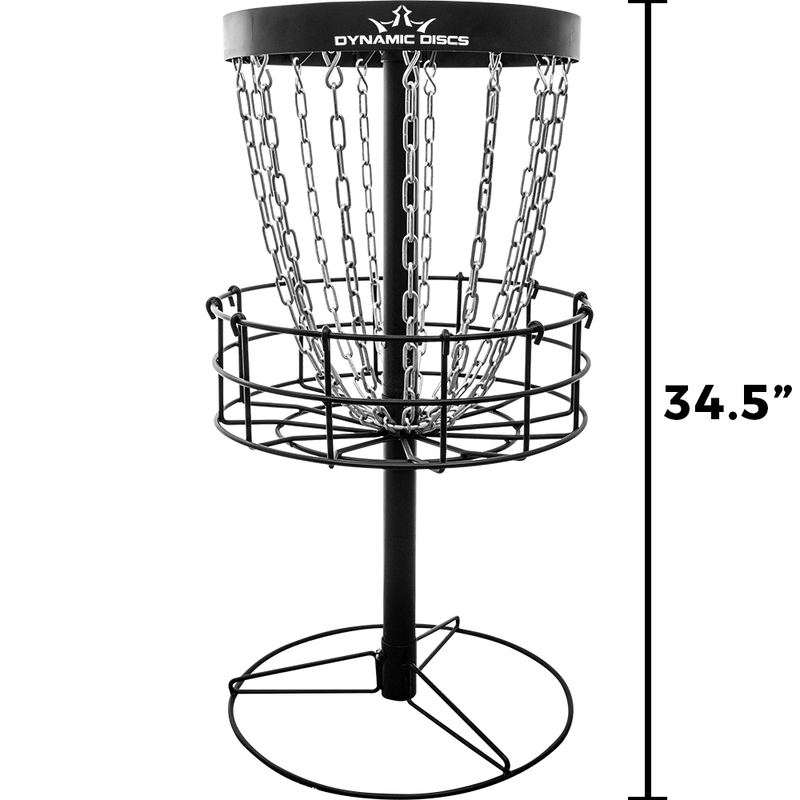 This basket is the optimal choice for a budding disc golfer looking to have a practice putting basket on par with their own size and scale. Combine the Junior Recruit with new junior-sized discs and you’ve got a recipe to #GrowTheSport. 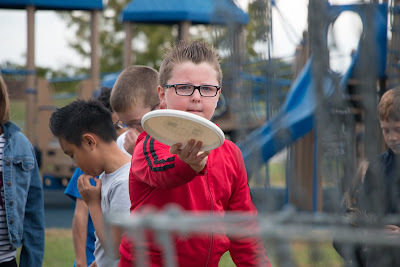 Many of us that have a passion for the sport know that making disc golf exciting for younger age groups is the key to the sport’s retention and growth, and by making products accessible for literally all ages, Dynamic Discs proves that they are on a mission to spread disc golf everywhere. Both the Junior Recruit and junior sized discs are designed for smaller hands and shorter heights, so not only does this translate into them being easier for kids, but ultimately means the kiddos will have more fun using it. Plus, the Junior Recruit is less expensive and easier to store than a traditional sized basket, making it more affordable and convenient for elementary schools and youth groups alike. This focus on youth activities is subsequently empowering community groups and after school programs to create new curriculum that’s easy for all kids to enjoy. Since kids’ hands are significantly smaller than ours, it makes sense to manufacture a smaller disc that allows them to have a more comfortable grip and is lighter weight for maximum distance. The Junior Recruit addresses the desire for children to be able to reach in and retrieve their discs themselves after making a putt, so when you combine these items together it’s the perfect setup even for kids who can just barely walk! Elementary and middle school aged kids cover a lot less ground with each step too, so what about combining our equipment with a junior’s course that has a proportionate length? It’s not unreasonable for a junior course length to average 150’-200’ a hole, and the sky’s the limit in terms of what course designers can do with this in the future. Women’s tees are a hot issue right now - what about junior’s tees as well? Ultimately, the growth of the sport is moving exponentially in the right direction with the introduction of this smaller sized equipment. 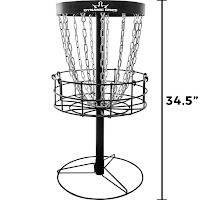 The next time you need to buy a gift for a kiddo in your life, why not try introducing them to disc golf and purchasing their very own equipment that’s just their size! Let us know your thoughts on this approach to growing the sport with kids in the comments below. My daughter is 11 and we've always encouraged her to use full-sized discs albeit in a smaller weight. When she was 7 or 8 years old she was throwing 120g discs (shout-out to the guys at Marshall Street for hunting those down for me!) but these days she's normally in the 155g - 165g range and trowing upwards of 50m. I felt it was more important that she grow into the full sized equipment than have to adjust later. For the past couple of years she's been competing rather successfully in full open courses (par 63, 2200m), throwing under 100 - her current rating is 535 and her best round was 624. Once she grows into a teenager and develops a longer arm, I expect her to blitz through to the 700s and higher quite easily. We plan to take her to the Junior Worlds next year... but it's a big trip from Australia. If there's any sponsors out there interested in supporting a major Australian talent, let me know! !